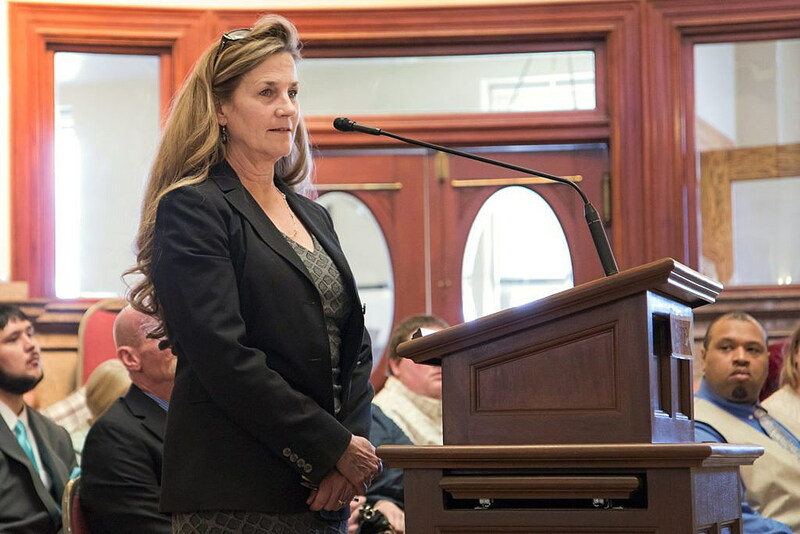 HELENA – The sponsor of a bill that would increase the tax on cigarettes and tobacco said Monday the generated revenue will help curtail the use of tobacco among Montana’s youth and provide a raise for personal care providers funded by Medicaid. Senate Bill 354 would also include e-cigarette-related vaporizing substances in the tax for the first time. The Senate Taxation Committee heard first testimony on the bill Monday. A majority of the revenue collected through the tax would be allocated to the state’s Department of Health and Human Services, which oversees Medicaid. Sen. Mary Caferro, D-Helena, is the sponsor of the bill and said children are particularly sensitive to prices when it comes to tobacco. Other supporters of the bill said it’s a win-win — that it would help decrease tobacco usage among minors and give a raise for personal providers in the state. A personal care provider is someone who provides aid for the elderly, sometimes in their own homes. Ronan resident Kelly Thompson is a caregiver for her mother and said her mother went through six caregivers in the last 10 years before she stepped in to take care of her. Thompson said the high turnover she saw was due to the low wages in this line of work. Bob Story, lobbyist for Montana Taxpayers Association, opposed the bill and said the state needs to look elsewhere to fill the gap for these services. “I guess if the need is that great, the Legislature ought to look at funding that need with a broader general revenue source, not a source that’s only paid by a minority of the people,” Story said. Opponents and supporters both cited cancer in their testimonies. Supporters argued that increasing the price on cigarettes would prevent people from buying tobacco products known to cause cancer. But opponents of the bill say e-cigarettes and the vaporizing juices that the bill would tax helped them quit smoking. Ron Marshall owns an e-cigarette and vape shop in Belgrade and opposed the bill. Marshall and other opponents of the bill said it doesn’t take into account people crossing the state border or buying the product online to avoid the tax. Josh Poulette, fiscal analysis for the Legislative Fiscal Division, provided testimony as an informational witness at the hearing. “It is true that vapor liquid, which would be the taxable commodity from this bill, is easily available on the internet with no tax,” Poulette said. Freddy Monares is a reporter with the UM Legislative News Service, a partnership of the University of Montana School of Journalism, the Montana Broadcasters Association and the Greater Montana Foundation.